The Pinellas Suncoast Transit Authority is partnering with Uber and United Taxi to help address a very common barrier to public transit use: easy access to a bus stop. Often called the “first mile, last mile” conundrum, transit agencies all across the U.S. find that getting riders to a bus stop is the first step in turning them into public transit users. PSTA’s new program, called Direct Connect, allows riders to use Uber (in Pinellas Park) or United Taxi (in Pinellas Park and East Lake) to travel within a specific geographic zone to or from a series of designated stops. From there, riders can connect with the regular PSTA public transit bus system. On the return trip, they can use Uber or United Taxi to travel from the designated stop back home or to work (within the zone). With this unique partnership, the first of its kind in the nation, PSTA will pay half the cost of the Uber or United Taxi ride, up to $3. Brad Miller (PSTA), Nick Cambas (United Taxi), Christine Mitchell (Uber Tampa Bay), and Bill Jonson (City of Clearwater/PSTA Board member) cut the ribbon launching Direct Connect service in Pinellas Park and East Lake. The service launched with a ribbon cutting event at Pinellas Park Transit Center on Monday, February 22, 2016 and will run on a six month pilot basis. If successful, PSTA will consider expanding this new, innovative service. To learn more about this new service, please visit www.psta.net/directconnect. St. Petersburg, Fla. – The Pinellas Suncoast Transit Authority (PSTA) will hold a public workshop at the Clearwater Public Library, 100 North Osceola Avenue, from 11:00 a.m. to 1:00 p.m. on Tuesday, August 25. The workshop will provide those in attendance with a solid background on the current PSTA fare structure, an overview of a simplified structure model, and information regarding fare price adjustments. Riders will also have the opportunity to speak directly with PSTA Senior Planners and Planning staff to answer unique and rider-specific questions. Those unable to attend the workshops are encouraged to provide written comment by mail or email at engage@psta.net. For more information on the Fare Workshops call the InfoLine at (727) 540-1900 or visit www.psta.net. St. Petersburg, Fla. —Despite severe weather and record rainfall throughout the county, the Pinellas Suncoast Transit Authority (PSTA) has set a new record for the highest ridership ever in July. Riders boarded PSTA vehicles 1,260,603 times, a 0.7 percent increase from the same month in 2014, and the 74th consecutive month of ridership exceeding 1 million. The nearly 9,000 additional trips made last month came despite several days of heavy rainfall that left three counties flooded, dozens of roads closed, and forced evacuations. PSTA staff was able to keep riders updated on route detours in real-time by using Rider Alert text messages, emails, and social media. As an active member of the Emergency Operations Center for Pinellas County, PSTA buses will continue to run routes during a storm to help transport and evacuate people until it is no longer safe to travel. Riders can stay updated on all PSTA bus service by calling the PSTA InfoLine at 727-540-1900, visiting our website at www.psta.net, and following us on social media at @RidePSTA. St. Petersburg, Fla. — Ridership has continued to soar at the Pinellas Suncoast Transit Authority (PSTA) and now a new record has been set for the highest ridership ever in June. Riders boarded PSTA buses 1,227,612 times, a 3.4 percent increase from the same month in 2014, and an all-time record for the month overall. The nearly 40,000 additional trips made last month could be attributed to increased tourism seen throughout the county. Last month, an estimated 250,000 people were drawn to St. Petersburg’s Grand Central District to celebrate the annual St. Pete Pride Parade and Street Festival. PSTA offered several routes throughout the weekend to better transport people safely across the city during the festivities. PSTA’s partner trolley service, Jolley Trolley, also saw a significant increase in ridership of almost 60 percent. The 31,850 additional trips in one month come as no surprise to Clearwater Marine Aquarium CEO David Yates. This new record continues a sustained, significant upward ridership trend for PSTA. PSTA is now focused on a customer-oriented service redesign that will better allocate resources to areas with the highest need. The next stage, community outreach and public engagement, will begin in early August. St. Petersburg, Fla. – Thirteen of the oldest diesel buses at the Pinellas Suncoast Transit Authority (PSTA) will be replaced with brand new hybrid electric ones set to arrive by next week. Nine have already arrived at PSTA headquarters. Despite a significant decrease in federal grant funds in recent years as Congressional earmarks were eliminated and bus-specific funding sources were reduced, PSTA continues to prioritize federal dollars on its bus replacement plan. A sustainable capital plan has been the focus of PSTA’s new strategic direction, Path Forward, since it was unanimously voted into effect by the board last month. The 2015 class of Gillig 40-foot diesel-electric hybrid buses adds to PSTA’s growing number of energy-efficient vehicles. The 61 total hybrid “Smart” buses will now make-up 30% of the nearly 200 public transit buses in Pinellas County. This year’s purchase of 13 buses was the biggest order PSTA has placed in more than five years. The buses were purchased from Gillig Corporation through a cost-saving consortium of all the public transit systems in Florida. 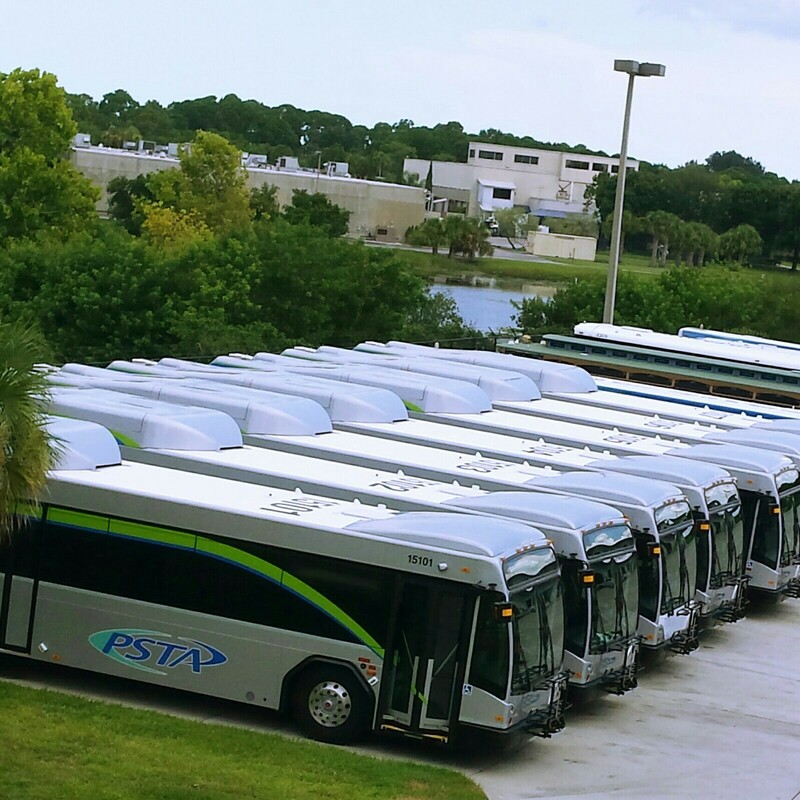 Valued at more than $37 million dollars, PSTA’s fleet of buses is its greatest asset, aside from its customers. PSTA’s long-term capital plan calls for maintaining its mix of approximately one-third hybrid buses for the future, while replacing older diesel buses with new cleaner diesel buses that have lower emissions, as per new Environmental Protection Agency (EPA) standards. PSTA anticipates that the new buses will be fully deployed into active service by the end of August 2015. When: March 15, 2013 at 10:00 a.m.
You are cordially invited to join PSTA and area leaders on a tour and demonstration ride in one of the most advanced transit vehicles on the planet – this Friday morning at Coachman Park in Clearwater. PSTA staff and local officials will gather at 10:00 am along the waterfront to evaluate a brand new, American made, articulated diesel-electric hybrid bus from New Flyer. With standing-room-only loads on many bus routes, PSTA leaders are now considering investing in larger buses to accommodate the record-setting demand for transit. 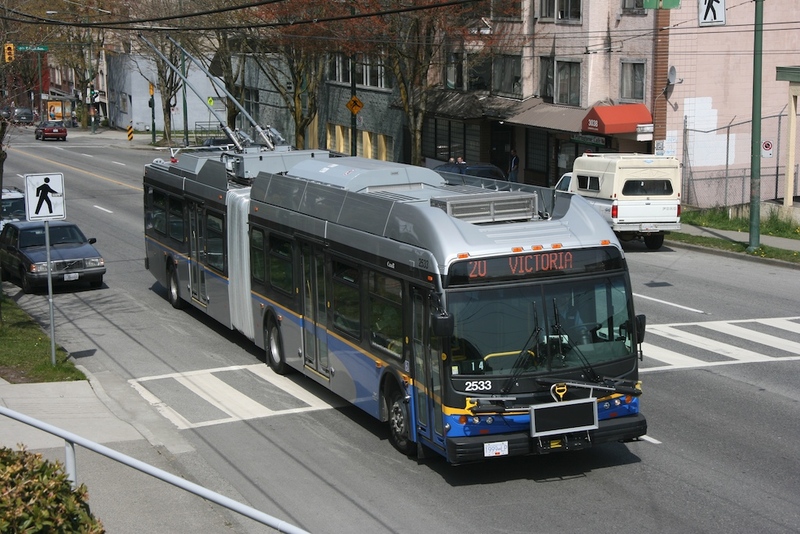 Without additional funding to increase bus service or frequency, these new, double length, fuel-efficient vehicles may be the agency’s only option to ease system overcrowding. Please join us for a sneak peek at what the future of transit may look like in Pinellas County.